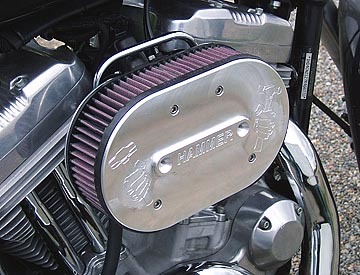 HAMMER PERFORMANCE is proud to bring you our own line of high performance air cleaners for your Sportster! 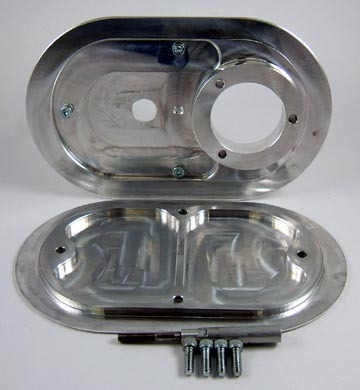 These air cleaners are CNC machined in-house out of 6061-T6 billet aluminum. 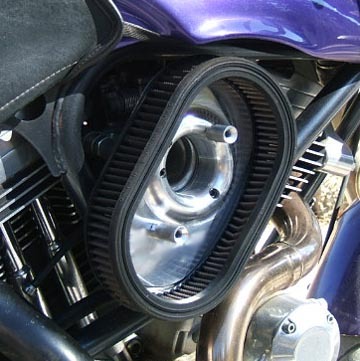 They feature a specially designed radius ring that smooths and straightens the air flow for the maximum performance possible. 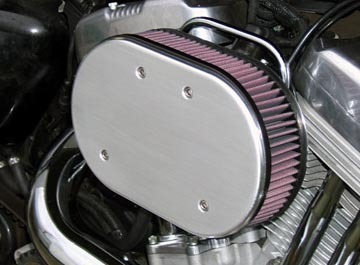 All Air Hammer Air Cleaners also feature large K&N cotton gauze filter elements that minimize restriction, resulting in more power! 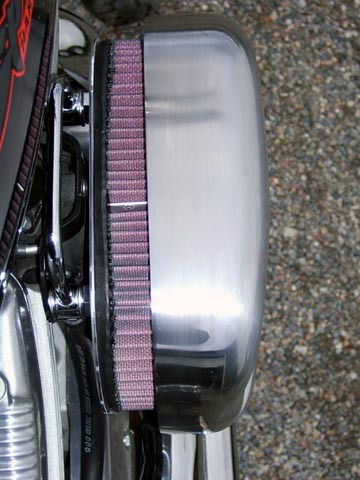 Any of the air cleaners in this section will mount up to any 1991-present Sportster, to either the factory CV40 carburetor or the factory EFI throttle body. 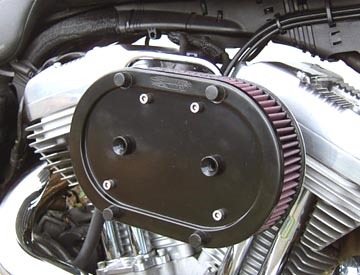 They'll actually fit back to 1988 except the support bracket we offer does not have the correct bolt hole sizes for 4-speed heads (note that 2007-up models do not require the support bracket, the factory support bracket works fine). 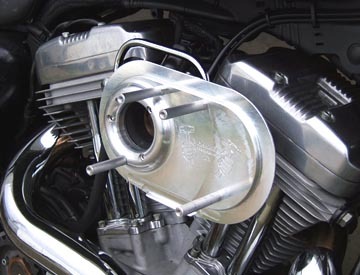 The IMPACT: with a large 2" tall element, this model delivers plenty of air for your motor all the way up to 100 horsepower. Priced competitively too! 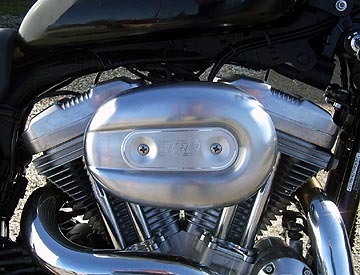 The CRUSH: using an even bigger 2.25" element that's also longer, the increased surface area of the CRUSH can easily support builds up to 110 horsepower. 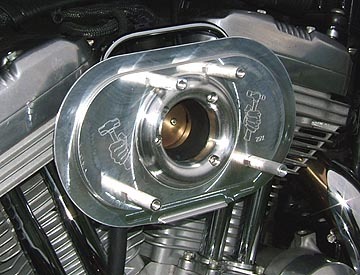 The SLEDGE: the massive 3" element in the SLEDGE supports in excess of 120rwhp! 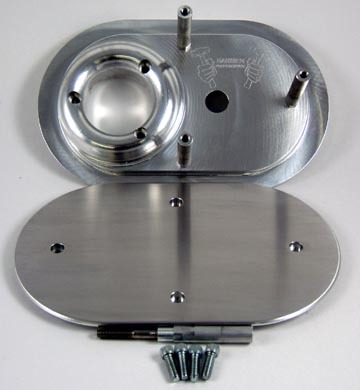 Outer plates are also available individually to convert between the covered and naked versions. 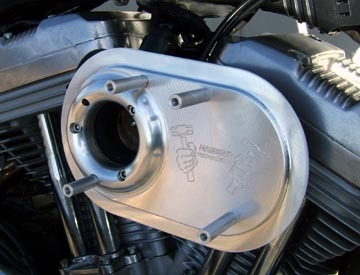 To promote maximum power and minimal carbon build-up, Air Hammer air cleaners require rerouting the factory crankcase breathers. Hardware to accomplish this is available below. 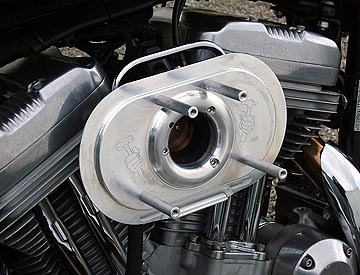 Air Hammer air cleaners for 91-06 Sportsters require a carb mounting bracket as the air cleaner does not provide this function. 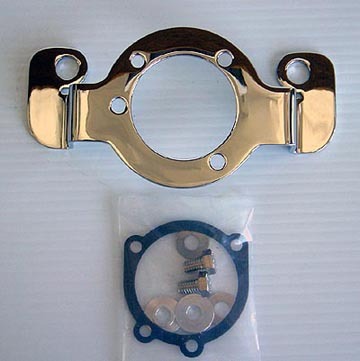 These brackets are also available below. 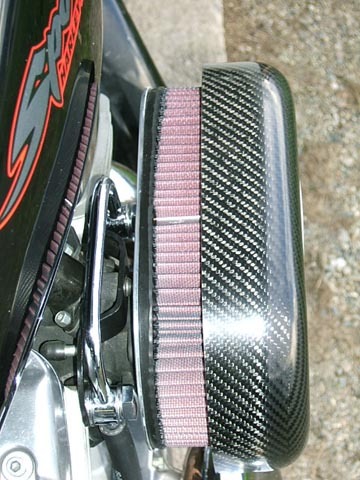 Top Quality - Superb Performance - Low Price! a small strip of the element exposed. 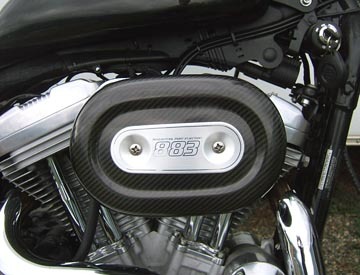 For Serious Power Builds up to 110 Horsepower! leave about a quarter inch of the element exposed. 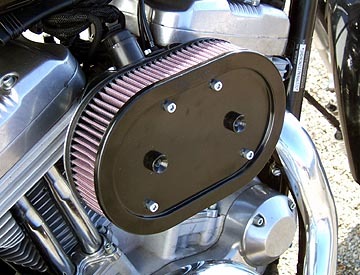 of the filter element exposed. 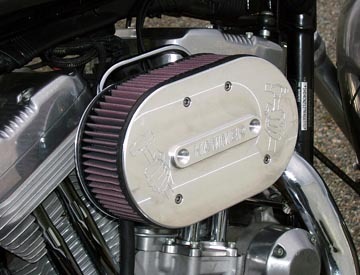 For All-Out Power Builds to 120 Horsepower and Beyond! 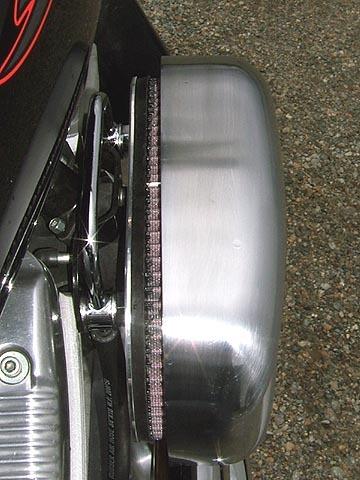 leave about an inch of the element exposed. 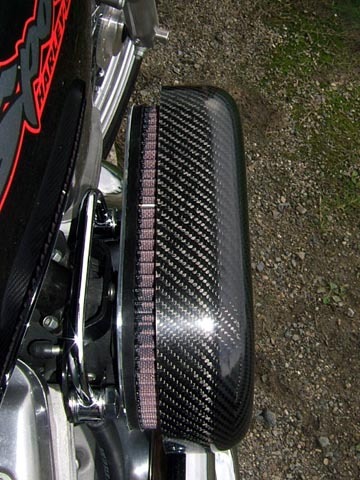 with a Carbon Fiber Cover. 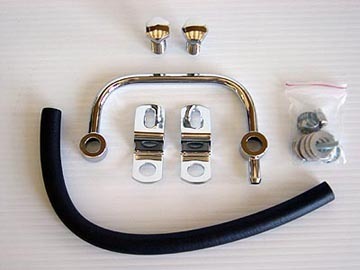 Carb support brackets are offered in chrome or black. 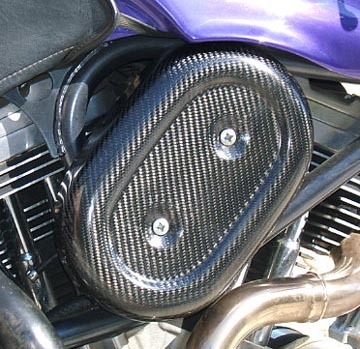 We've found the black brackets to be more durable. 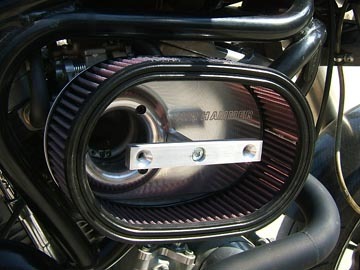 Ever since the factory discontinued the Pro-Series air cleaner, Buell riders have been searching for a suitable replacement. 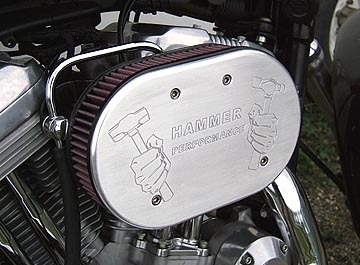 Well, search no more, HAMMER PERFORMANCE has the answer! 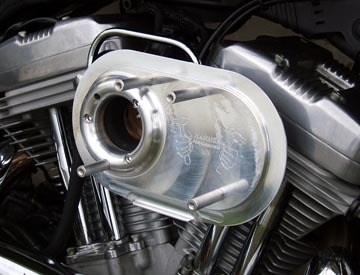 Our AIR HAMMER Billet Air Cleaners for 95-02 Buell models represent a nice improvement on the Pro-Series, featuring our exclusive billet aluminum backplate with integral radius ring and offset spacer. 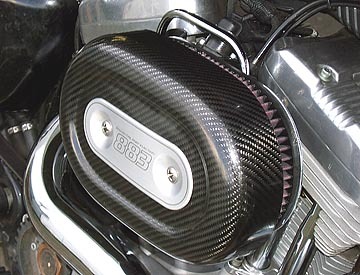 What's more, unlike the old Pro-Series, our air cleaners use a centered style bolt pattern on the carbon fiber cover, allowing you to choose from the many available insert plates. 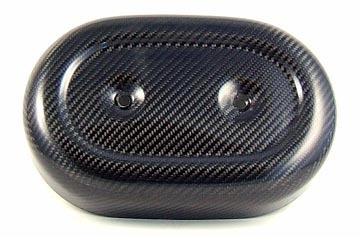 A Carbon Fiber oval ham can cover version with a massive 3" element, for S1/S3/X1/M2 models through 2002. 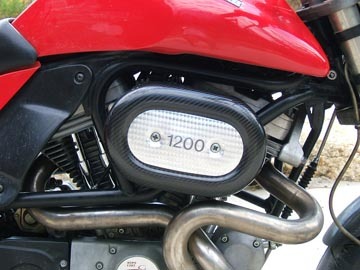 This model is available in either a level version or clocked slightly downward to match the Buell frame rails and tank. 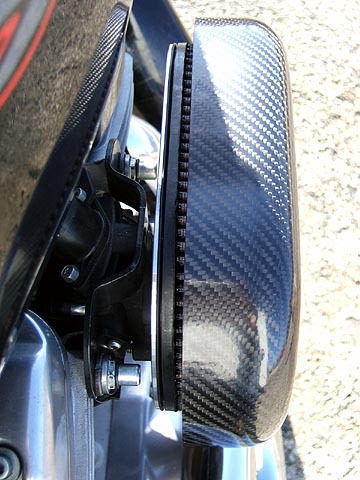 An S2 version with a 2" element for use with either the stock carbon fiber S2 ham can cover or one of our replacement versions. 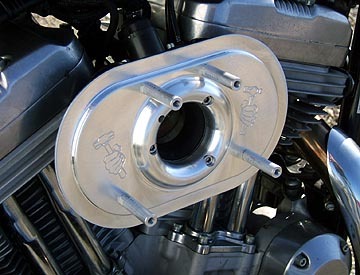 A "naked" version, which uses an exposed 3" element and a billet aluminum outer plate (available in level version only). 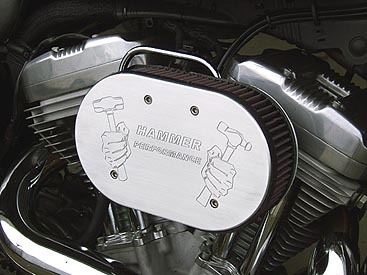 All AIR HAMMER air cleaners feature washable/reusable K&N air filter elements. 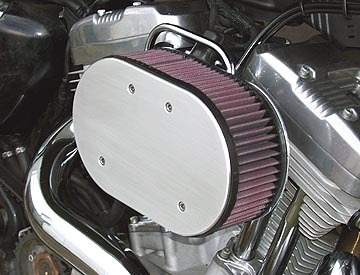 This air cleaner uses a massive 3" thick filter element for maximum flow. 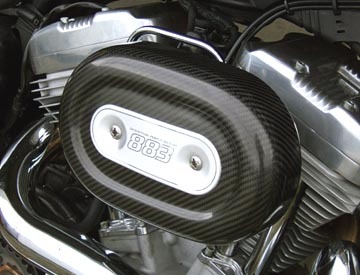 Includes lightweight carbon fiber cover. 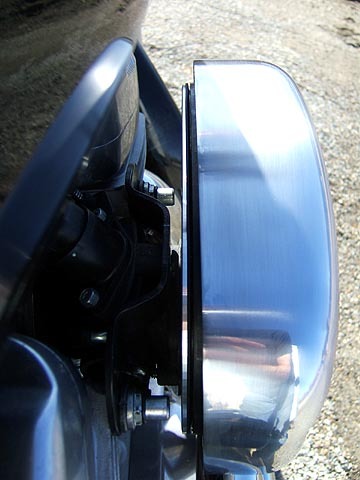 Forward offset for maximum knee clearance. 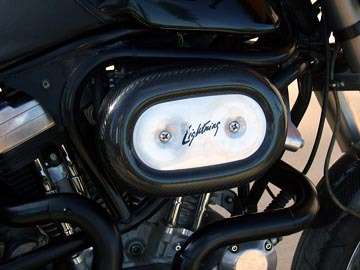 Centered type cover bolt pattern to allow the use of standard inserts and promote better sealing. 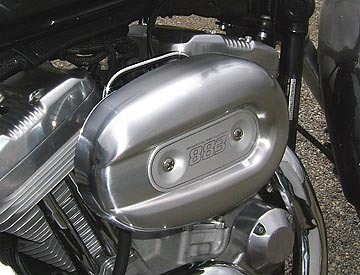 The level style should be used where clearance to the exhaust header is a concern. 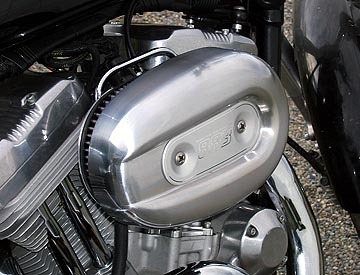 Note: The clocked style angles the air cleaner downward to match the frame tube and tank. 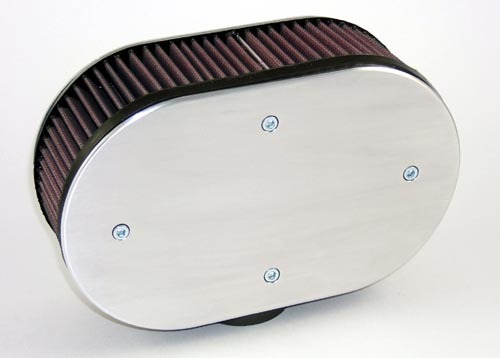 Includes a new 2" thick filter element - 23% more surface area than stock! 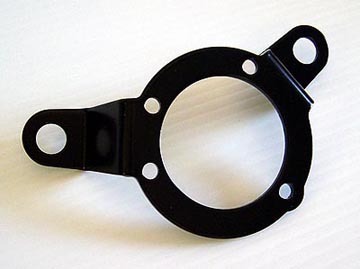 Also available level or clocked downward to match the frame tubes. 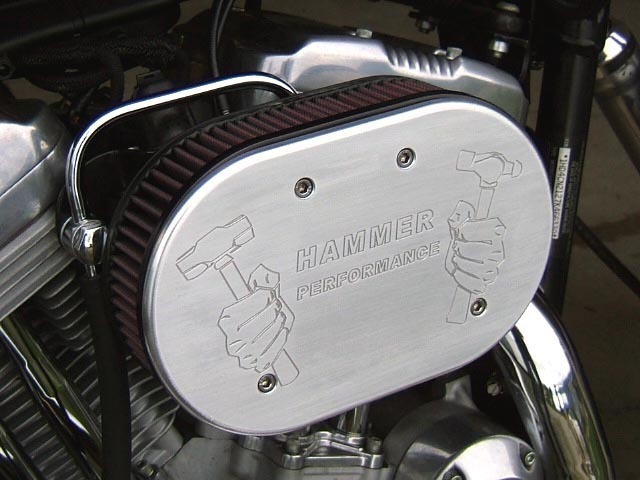 Air Hammer Air Cleaners for Buell models can also be made on a special order basis in the Buell Pro-Series style, with the cover screws in an offset location. Please call.